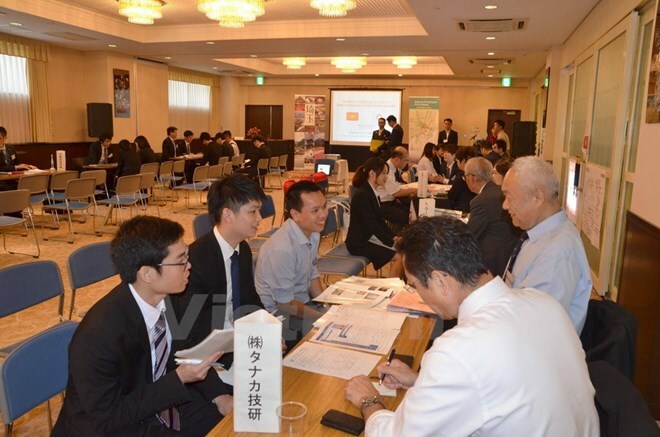 Tokyo (VNA) – The Vietnamese Embassy in Japan and the administration of Saitama prefecture held a workshop on August 4 to introduce jobs for overseas Vietnamese students. Ambassador Nguyen Quoc Cuong said Saitama is one of the Japanese prefectures that pioneer in boosting all-aspect relations with Vietnam. Prime Minister Nguyen Xuan Phuc visited the prefecture during his official visit to Japan in June, Cuong noted. The ambassador said he was impressed when visiting a racing car engine manufacturing factory in Saitama where a lot of Vietnamese engineers are taking on important stages and have many initiatives to bring benefits to the company. The workshop creates an opportunity for Vietnam and Japan to boost cooperation in human resources, he said, hoping Japanese firms could find potential employees through the event.